This image from my personal family archives is jarring to me, my husband, and our family today in light of the tragedy last night on the beach at the Disney Grand Floridian Resort. As many of my friends and clients know, my husband and I were married at the Grand Floridian in September of 2011 with Maddie and Logan (two of our old kiddos) as flower girl and ring bearer. This hotel and Disney as a whole has a big place in our family’s heart – it’s our special place. 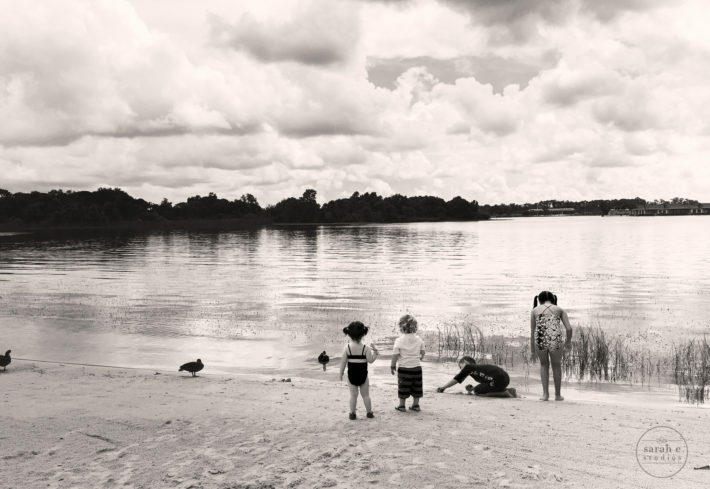 This frame, taken on my iPhone during our first trip to Disney in September of 2014 after our twins Riley and Quinn were born, was taken on the Grand Floridian beach – I imagine right where that little boy and his dad were wading in the water a foot deep last evening. This moment when the four of them were playing on the sand with the at the water’s edge, has always spoken to me. It has reminded me of family, magic and love. I remember Matthew and I telling them, “the sign says “no swimming” but have fun. I can’t imagine the pain and sorrow that family is feeling today and my heart goes out to them. Today I will be hugging each of my kids a little tighter and send prayers to the family that lost their son last night.